This is where you want to be. Step up on the deck, and you’ll feel it instantly – what our genius engineers call “Nirvana on wheels.” One session on the Hovertrax 2.0, and you won’t be able to wipe that sick grin off your face. Designed for fun-loving thrill-seekers like you – with its self-balancing technology, 60-minute extended-life battery, and ridiculously smooth ride, Nirvana, at last, can be yours. With its powerful, 36-volt lithium-ion battery pack made with authentic LG, the Hovertrax gives you up to one hour of blissful, supercharged riding while meeting UL 2272 safety standards. 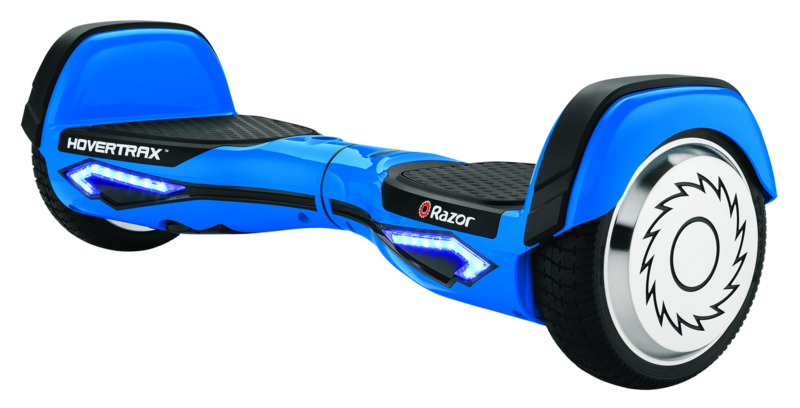 Razor was the first US brand to receive the UL 2272 listing for safety, ensuring Hovertrax™ DLX 2.0 hoverboard meets or exceeds the highest electrical system safety standards. Our exclusive EverBalance™ technology automatically levels the Hovertrax™ DLX 2.0 for an easier mount and extremely smooth ride. 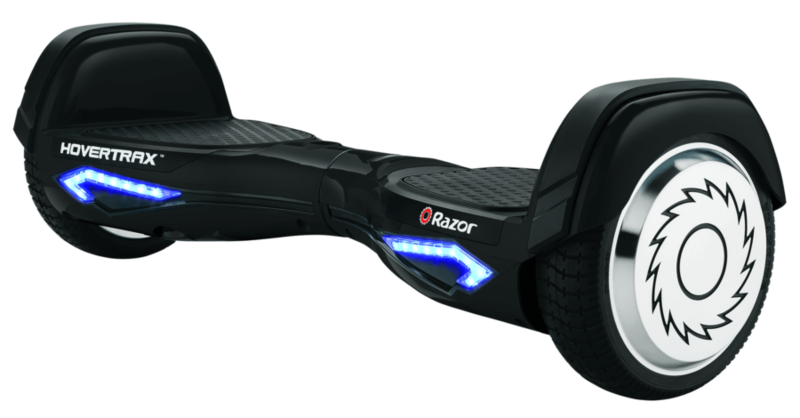 Swap out the quick-change 36V lithium-ion battery pack to keep the effortless spins, turns and hoverboard action going. Shatter-resistant polymer frame with fender bumper protection and multicolor LED lights add a flash of fun to this futuristic ride. Silent, dual-hub motors with gyro-sensor technology deliver cruising speeds of up to 9 mph (14 km/h) for up to 60 minutes of continuous use. Full-length, anti-slip rubber traction platforms keep you in perfect balance for foot-controlled, seamless maneuvering. Kids favorite x-mas presentThe Razor Hovertrax 2.0 was my 12 year old daughter's favorite Christmas present, and she got and IPad the next year! She rode like a pro after about 2 weeks of practice! Awesome machineAfter using one of their friends' hoverboard, I bought my two boys one. While these are recommended for 8 years and up, my boys are 6 and 7 and are jets on this thing. I tried and while I can crawl around the house, they are much better (practice I suppose). I am now waiting for the next birthday to get a second one to stop the arguments about who's turn it is. I don't currently make them wear a helmet, however considering the speed they are starting to travel I think that's going to change. Balancing my lifeThis is a great product for someone who wants to master balancing themselves. I felt I could never do this myself. But after a few attempts and some determination, I can use the hoverboard without any problem. I can balance without any problem. Just keeping my mind focussed on balancing myself makes me forget all the worries I have that day. Got one for my son too.